I’m always excited to try a new sour beer especially when it’s one of my favorite styles: Flanders Red. 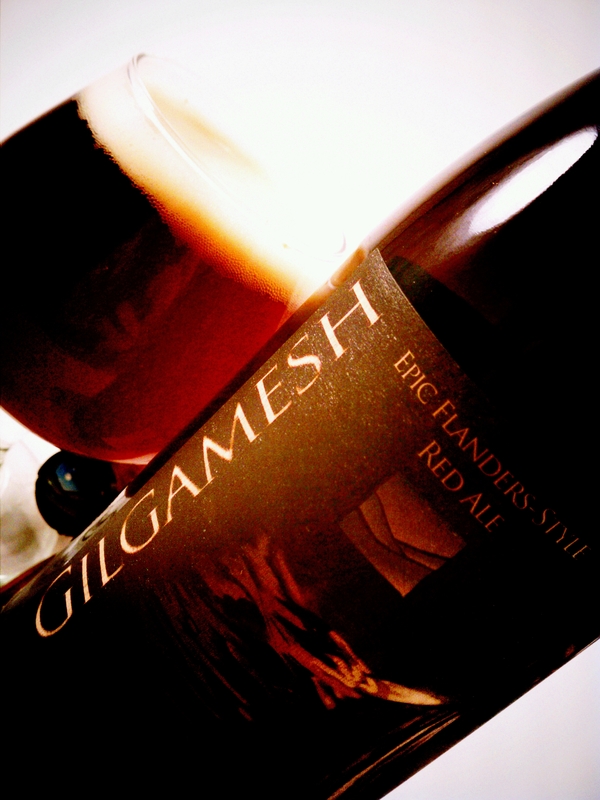 Luckily for me Upland Brewing Company‘s latest offering in their sour line up is a Flanders Red base called Gilgamesh. 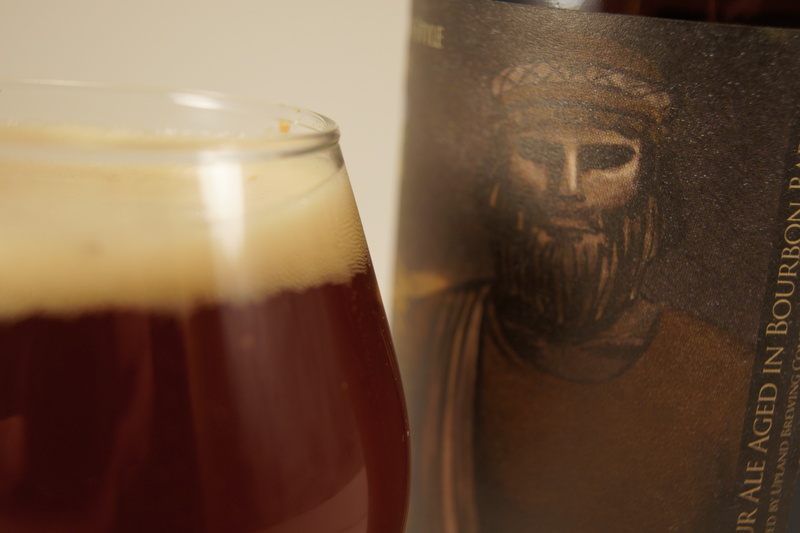 This beer was brewed August 3rd, 2010 and the approximately 2400 bottles produced are scheduled for release on February 1st, 2012 to those who reserved a bottle. Charles Stanley (Upland’s Marketing Manager) tells me all bottles were reserved and sold out within 4 hours of the online ticket release. If you weren’t able to reserve a bottle I’m told Upland has plans to brew Gilgamesh again at some point, but nothing firm on when that next brew session might take place. Unlike our lambics, which are rotated through white oak barrels acquired from Oliver Winery, the bourbon barrels led us to brew something with stronger aspirations, while keeping to classic Belgain brewing traditions the best we can adhere to with our brewing system. The combination of a 10.5% ABV beer, aged in bourbon barrels, and utilizing old brewing techniques led us to name it in the spirit of something old, rustic, and epic. Hence Gilgamesh, who is the main figure in one of the oldest discovered written tales. 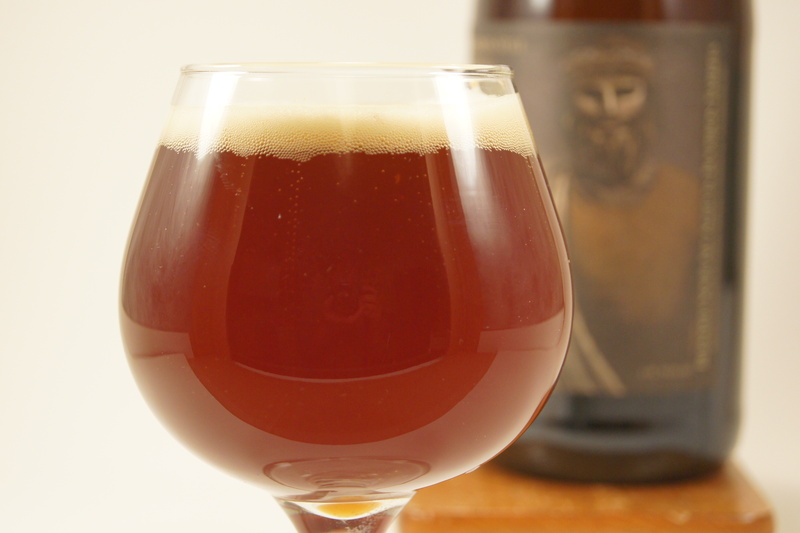 Appearance- Pours slightly hazy with a bright copper/reddish-orange glow. Off white creamy looking head that stays very much intact for the entire glass. Lacing in the glass is one of the nicest I have seen from a sour beer in quite a while. Aroma- At first sniff I pick up a malty sourdough bread aroma followed by an earthy dankness, light sour cherries and a very light scent of bourbon. Some oakiness and vanilla/toffee in the aroma’s finish. Taste- A pleasing upfront clean lactic acidity and some light brettanomyces flavor (think classic Brett Brux). Midway an almost red wine like taste, bourbon and vanilla oak. 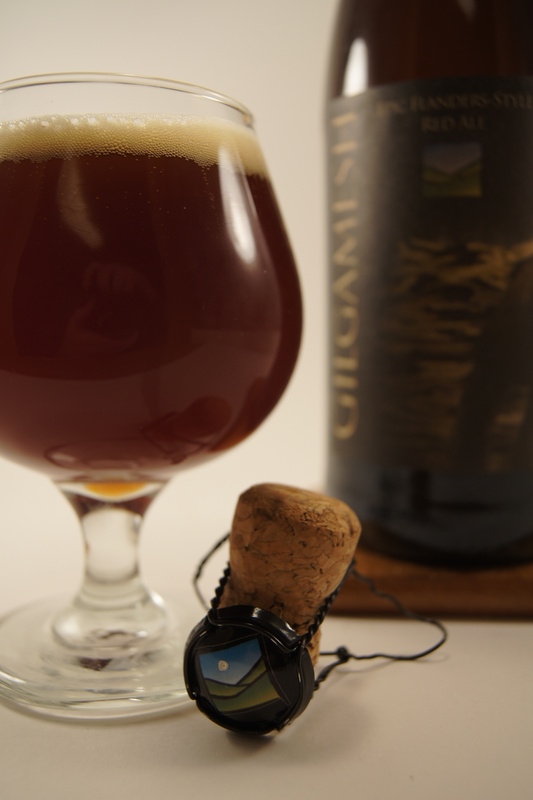 The finish rounds out with sour cherry, light sweet caramel and stone fruit funk. The faint taste of bourbon sticks around after the sip. Mouthfeel- On the lighter side of medium, but plenty of body without being chewy to support the funk and bourbon. A light carbonation gives just enough to form that great head. Overall- To me this was a very well rounded beer that took a great base style (Flanders Red) and made it more interesting by bourbon barrel aging. This is the second bourbon barrel aged sour beer I have tasted in a month and it’s trend I hope to see more of, especially when done right as Upland has done. The oak and bourbon flavors hit on one of those great layers just underneath being too forefront. For my tastes they don’t detract from the sour beer experience, but certainly add an interesting twist that makes this beer memorable. I hope to secure another bottle of Gilgamesh to try in a year to see how it may have changed. However I feel like the beer was released at the right time and is ready to be enjoyed now. 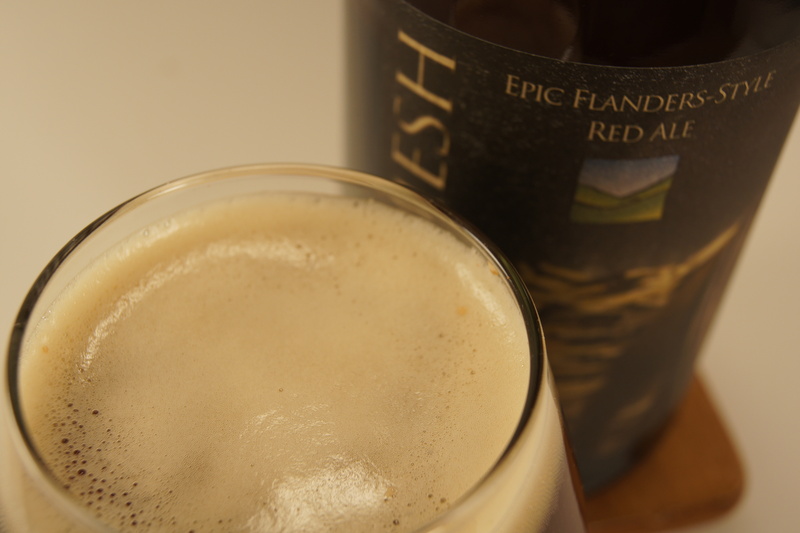 Extended again will most likely change how Upland intended for you to taste this beer. I was on the fence on trading for a bottle by after reading your review I’m sold on executing the trade. I don’t think you will be disappointed. Cheers! Any chance you could get the recipe?